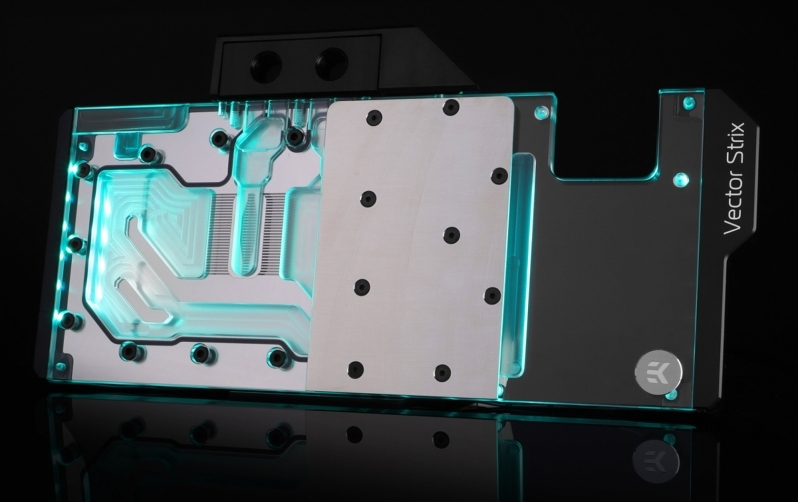 Read more about EK's RTX Vector Strix series of ASUS ROG water blocks. Someone with experience of these block tear downs explain why they have that plate across the block? There is a practical reason but I have never see it uncovered to see why it is necessary. Aesthetically it looks terrible. actually I dont think the three extra ones in the centre will cause additional stress. I was thinking more along the lines if its possible the nickel block is raised higher in areas due to caps, and then it would make the plexi thickness thinner thus prone to more stress. Could be wrong though, but its been a curiosity of mine for a long time. I have always used reference blocks.